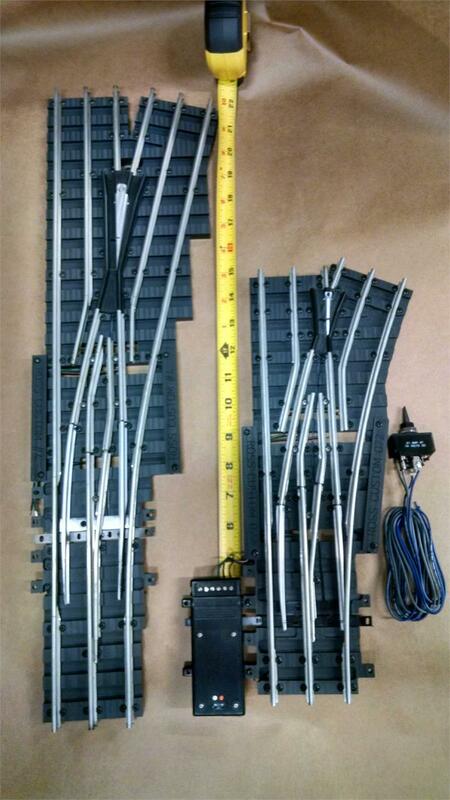 This is our lineup of standard gauge switches. Our closed frog design allows trains from every era to pass thru so smoothly you wont believe it! As of this writing every engine made is reported to go through. They use LGB switch machines which require 12v dc. Mouse over or click on images to magnify.